Every surgical operation has inherent risks. New technologies help to minimize these risks, with robotic assistance in eye operations or flexible tools for complex brain surgery. Medical technology is a field with very dynamic development. New devices and technologies reach the market every year. 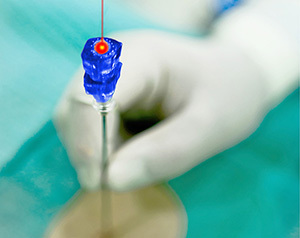 Current trends include stress reduction through advanced surgical methods, further minimization of invasiveness, and computer-assisted navigation to support surgeons. Manufacturers of medical products invest around 10 percent of their sales revenues in research and development. On average, 50 percent of the revenues are made with products that are younger than two years. The impressive power of innovation in this industry also shows in the constant increase in patent applications. maxon drives can be found in numerous medical applications – after all, medical technology is maxon’s largest market.